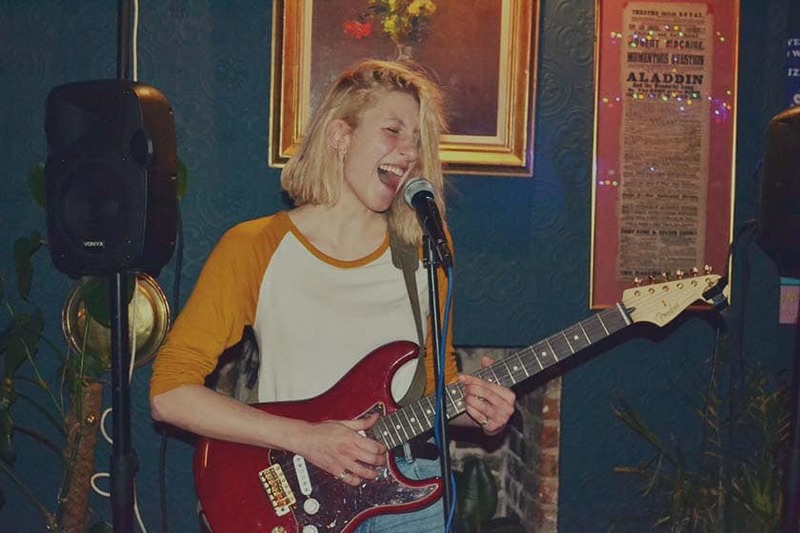 Brighton has some of the Southeast’s most brilliant live music venues, with a large number hosting open mics and jam nights. Home of the Brighton Institute of Modern Music, there’s a thriving cultural quarter, vibrant nightlife and a very impressive music and arts scene. From big auditoriums to historic venues and intimate spaces, Brighton gigs are always memorable. 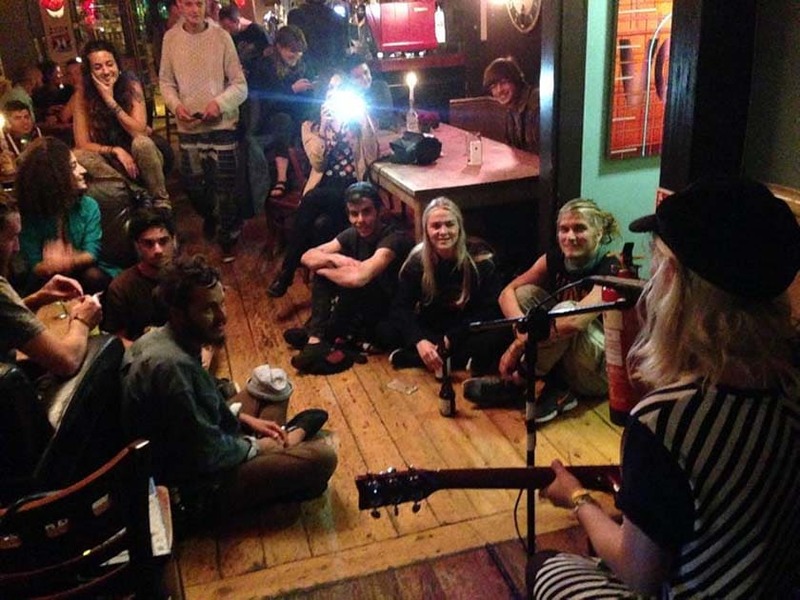 Here are our top open mic and jam nights, in no particular order. Brighton Rocks is an intimate and quirky Rock ‘n’ Roll cocktail bar located right next to BIMM East. Their open mic is mostly hosted by their head barman Ollie (he’s a BIMM student and very good performer himself). It’s held in their side room next to the bar. PA and mixer to plug into are provided (Ollie is also great with the sound engineering). Sometimes they also have a house guitar but mainly performers bring their own. Small, quite chilled out and intimate, the audience watching is respectful and supportive, so it’s perfect if you’re newer to the open mic scene. Performers get a free wingtip beverage, plus there’s a chance to get a paying gig at the bar. They also run a Blues Jam Session every first Monday of the month. One of Brighton’s most well-known free house establishments, The Richmond boasts a long pedigree of live music and events every week. 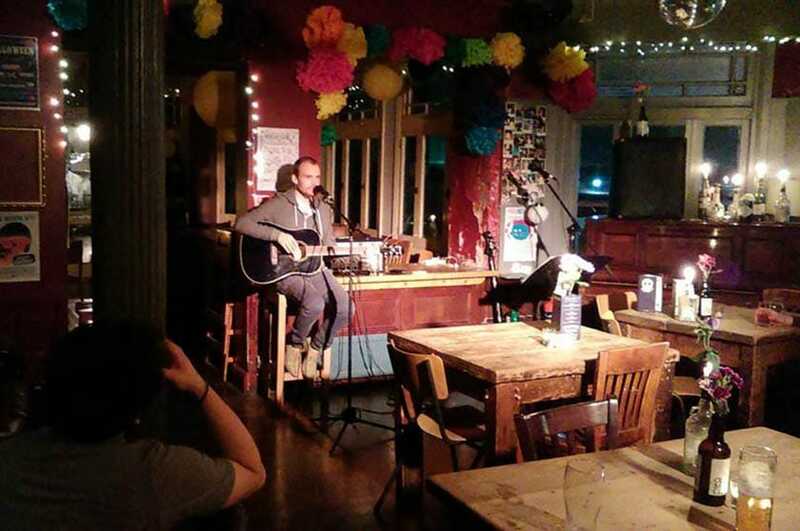 David Lazarevic currently hosts their weekly open mic night, alongside the rest of the Richmond team. It’s held in the main bar area on a fully functioning stage with sound desk and stage lights. They provide the mics, drums kit, amps, DI boxes – performers are allowed to use the stage and equipment however they would like. They typically have a headlining act, and they get spoken word poets, punk bands, acoustic beginners, magicians, comedians, jugglers, choirs, pretty much anything entertaining. Overall they have quite the following, with regulars coming in to perform a couple of songs too. Each artist get a drink as a thank you from the bar. They keep a few slots available for walk-ins, but acts can sign up by messaging their facebook page. 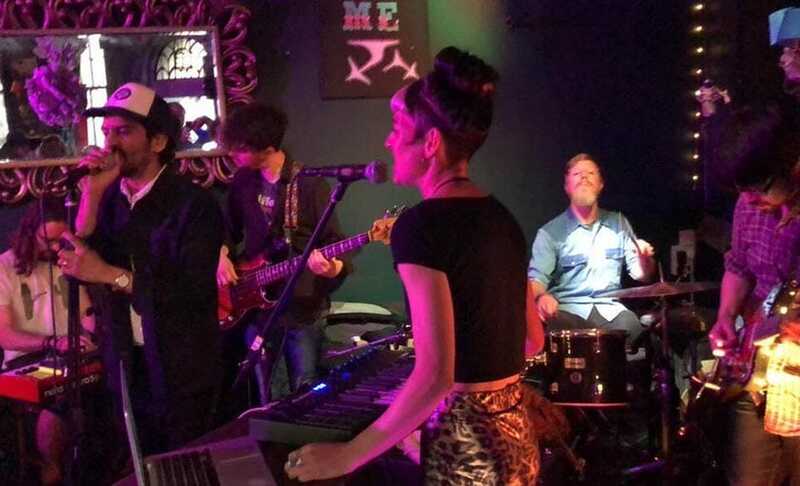 A legendary locals bar and student stalwart that’s been running for over 30 years, Medusa is a gem in the town centre that attracts musicians from far and wide. Their weekly open mic is hosted by Paul McKeown and has been running since 2012. It’s held in the main bar at the back, there are two mics and a guitar provided, and performers are welcome to bring the own instruments. They take videos and photos of all performances, so it’s a great way for budding singers and musicians to promote themselves. Sign up on the night – no booking required, but slots guaranteed if you turn up before 9pm. 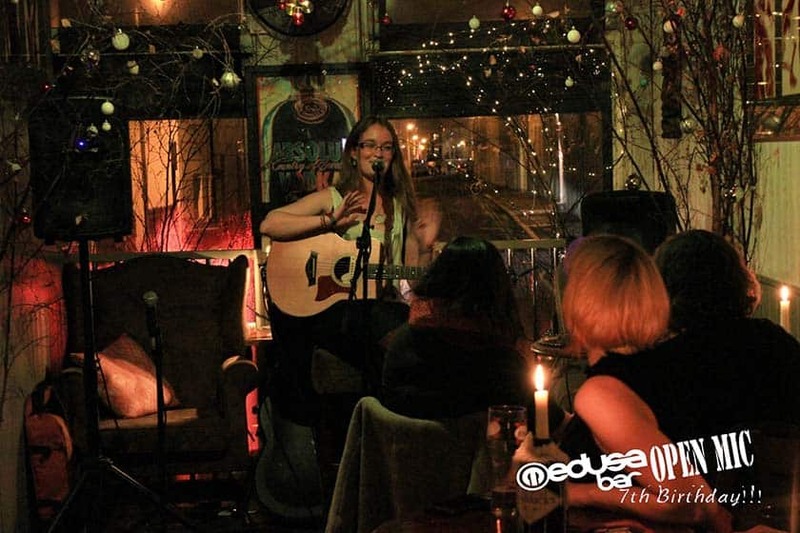 The Bees Mouth is a fabulous and friendly little bar with a range of live music on offer throughout the week. On Mondays, they have a lively Jazz Forum with a house band where musicians can sit in. 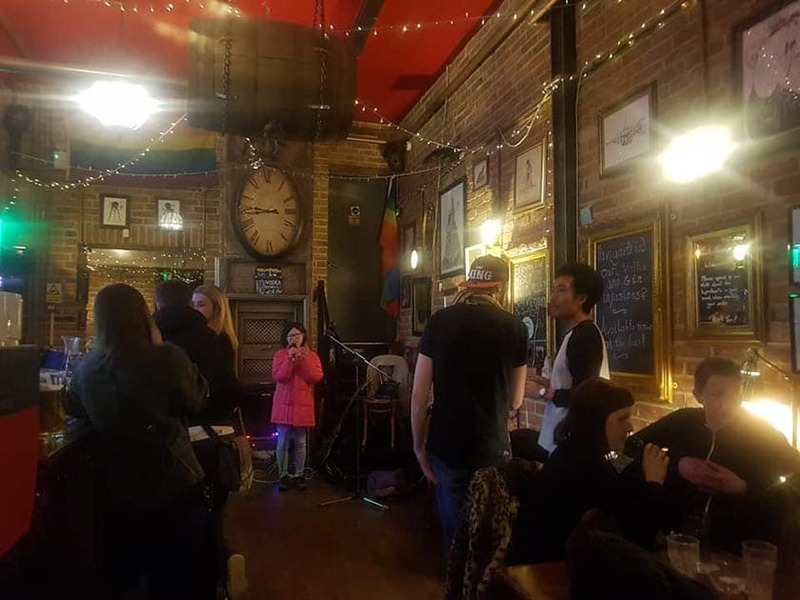 On Wednesday there’s the popular open mic night, which has been running for over ten years, and is currently hosted by JJ Symon. The intimate, candlelit basement room attracts a host of diverse performers from sing-songwriters, spoken word poets, comedians and magicians. Sign-up is from 8:30pm, performers are allotted 2 songs or ten minutes – whichever comes first – with a free drink afterwards. On the third Thursday of the month, they’ve got “Jammin’ with Jammin'” open jam night, with amps and kit provided, just bring your own instruments. The UK’s first Steampunk-themed bar, The Yellow Book is a real gem in Brighton’s already colourful nightlife scene. 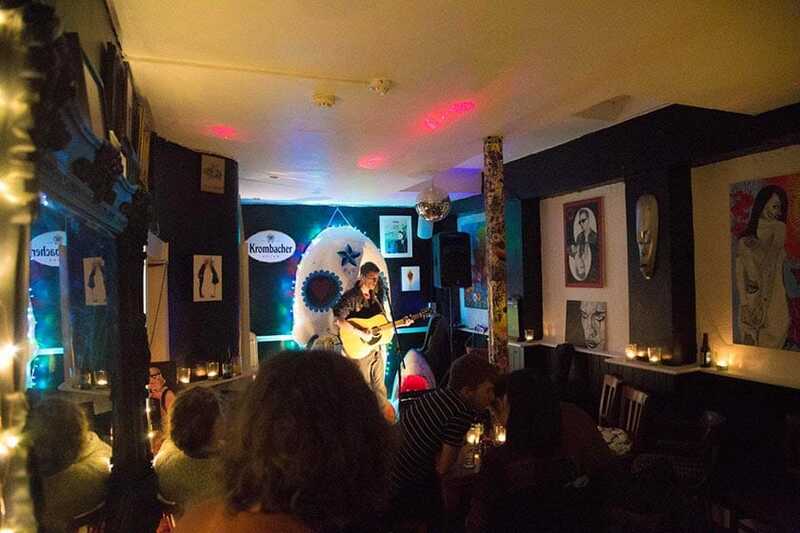 Their open mic night is an intimate affair with great energy which is hosted by a mixed collective of promoters, artists and Brighton-based creatives. These include Total Scoop founder Tatiana Jacqueline Bergin (aka Tati), Jack Whittington (aka Twisted Woffle) and Adrian A (aka Mana). PA, microphones, cables and an electric guitar are provided, plus regulars usually bring a harmonica, loop pedals, tambourines, beat Pads and a laptop. There’s a 3 piece band max, and they get solo singers, MCs, comedians, poetry and performance arts. Each night ends with a 10-minute cypher, jam or encore allowing performers up to 15-minute slots. If you would like to book a 5-10 minute slot, you can message Total Scoop on their Facebook page. The West Hill Tavern is a proper local boozer with a family at the helm – lovingly restored in the heart of Brighton. Their open mic night started in September 2017 and anyone that wants to share music, a poem, some inspiration or an idea is welcome to get involved. If it’s music, then at least one instrument is preferable. Some musicians (not often though) use an mp3 backing track, but they prefer you to bring at least one acoustic instrument. No instruments are provided, but they have a PA system with speakers, mics, stands and a 4 input mixer with reverb available. Expect singers, musicians, poets, rappers, performance artists & more. It’s hosted by musician Jack Prizant and their stage is a cosy rug that they bought especially for the night. Jack scouts and contacts the performers prior to the night and offers them a slot for a particular date. So the night is half featured acts and half performers who just show up. There are printed programs with the artist’s name and links to their music so the audience knows who is playing and where to find them. Professional pictures are taken, edited and uploaded online. 20-25 minutes set times plus a free drink for every performer. Serving thirsty Brightonians and visitors alike since 1864, The Quadrant offers live independent music in a quirky environment. Their open mic is hosted in-house, it’s very chilled early on and picks up later in the evening. Their newer night, Speak Of The Devil Blues Jam, has been running for a few months. That’s every 3rd Thursday of the month and it’s incredibly busy, so it’s always better to get down early. Both events are held in the function upstairs, have a stage area and are a great way to engage with the local music scene. The White Rabbit is a charming pub with an eccentric atmosphere and an offbeat style. They have a selection of colourful art on display and in the warmer months, there’s a wonderful beer garden with murals on offer. A weekly night of music hosted by musician Leo Utton, who’s been running the night for 4 years. They have an area at the back of the pub they use as a stage for the open mic and various other events. There’s a full PA and house guitar but they can accommodate virtually anything, from 5 man bands with keys to comedy tables, etc. Leo is happy to accompany any performers who don’t play an instrument. It’s always a busy night but it’s run with a relaxed, chilled atmosphere; anything goes and no one is rushed on or off stage. They allow sign-ups through their Facebook page anytime, but they also like to keep room for walk-ins on the evening. Everyone has around 15-minute slots. Get there early – it’s first come, first served and the nights get very busy. The refurbished George Payne – formerly known as The Kendal Arms – has been embraced by the local community from the moment its doors were opened. Their open mic takes place every week and is hosted by Adam Wilkens. It’s held on the ground floor of the pub and the night is pretty chilled, but it can get quite busy. In that respect, it can lend itself more to performers who want to play at 3 songs potentially more. Adam brings an SLR camera to take photos of all the performers each week and they invite two solo acts or a duo to be featured artists. They are put on the poster for the event and they have an extended slot. There is an in house guitar anyone can use, two microphones and 10 inputs on the desk if anyone has a big setup. There’s also an iPod cable for backing tracks and a decent PA system and monitor to play through too. You can signup in advance by messaging the Facebook page or just turn up on the night. Each performer gets £5 off of burgers and a free beer or soft drink. Featured artists get £10.50 off a burger and any drink. The Sidewinder is a lively and fun-filled pub in the heart of Kemptown with some of Brighton’s best beer gardens and a festive, bohemian flair. There is a full PA system with great sound for the acts and a guitar available to anybody who wants to play. 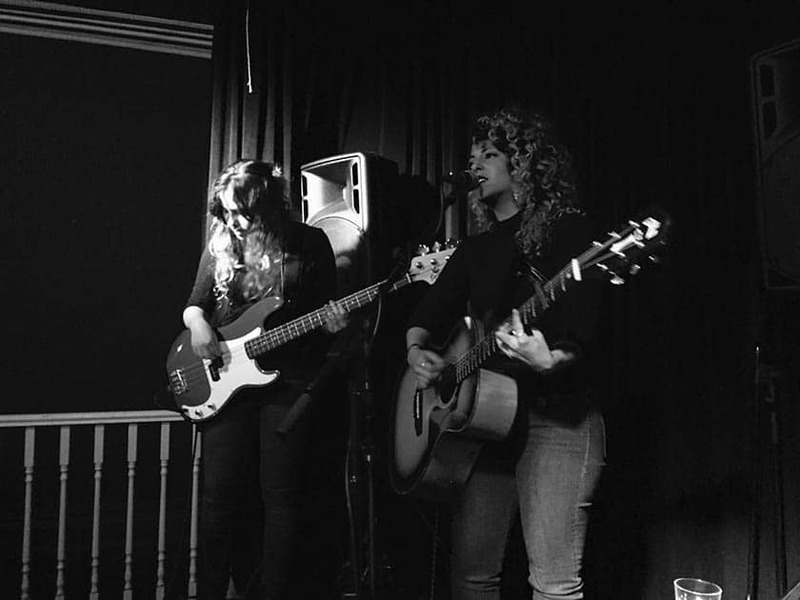 The night varies, with so many talented acts in the area it can be a really a different vibe each week (recently they’ve had a young folk punk act from Kent and a comedian from Cork, Ireland). You can book ahead or just turn up, but anybody who wants a slot can message Evan. Everybody is welcome to perform but book in advance to guarantee a slot to avoid disappointment. 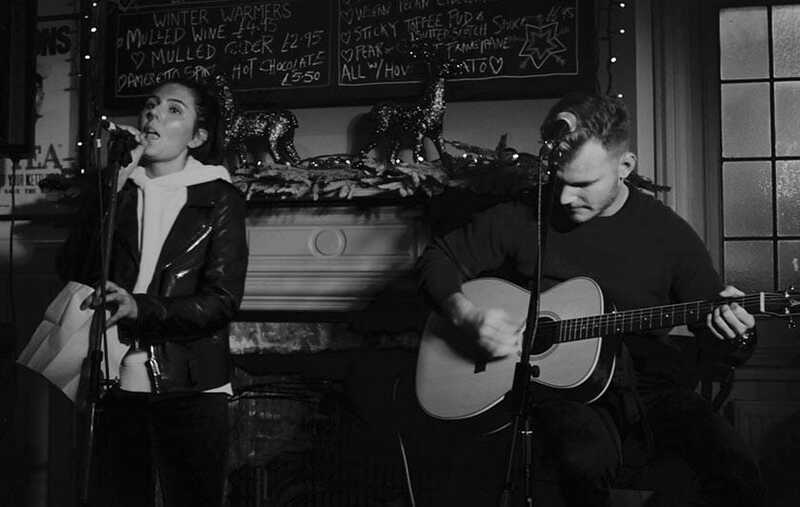 The Brunswick has been bringing the people of Brighton & Hove some of the best nights of music seven nights a week, whether it be their weekly Jazz Jam or the legendary Open Mic Night. Jazz Jam has become a bit of a Brighton institution, and every Tuesday, Paul Richards and his house band welcome any musicians to come and jam on stage. Paul is a really talented guitarist and the quality of musicianship is fantastic. Performers of all levels are welcome and it’s an excellent opportunity for BJS students to have a platform to develop their skills. Occasional unannounced special guests have seen Joe Lee Wilson, Claire Martin & Heather Cairncross grace the stage. Just turn up on the night to sign up. Held in the cellar bar of the Brunswick. This event takes place every last Tuesday of the month. Hosted by young people with learning disabilities, this is an open mic with a difference. An exciting and welcoming monthly event for any performer with or without a disability. Get a reaction from the audience who will give you positive and encouraging feedback. In-house PA, SM58 mics and the use of an acoustic guitar available. The nights can vary depending on the date but overall it’s quite relaxed even when very busy. They also host a Jazz Jam on the first Thursday of every month run by musicians Chicken Grease. Performers are invited to get up and play their instrument of choice (they have a clarinet, trombone and full-size cello available to borrow for the occasion) while the group ‘jam’ along. The Sussex is a traditional pub serving quality food and drink, located in the picturesque part of Brighton town near The Lanes. All talents welcome, there’s a free drink for every performer and they have ab infamous £1 cash prize for the best performance. Light Tahini Open Mic offers space for people to share a diverse range of performance in any form they choose with absolutely no limitations. It’s a safe space where people can share poetry, music and whatever else they choose in a relaxed, nonjudgmental environment. So now you know where to perform in Brighton there are no excuses to get out there and get performing! Have you considered entering Open Mic UK? Auditions are coming near Brighton!